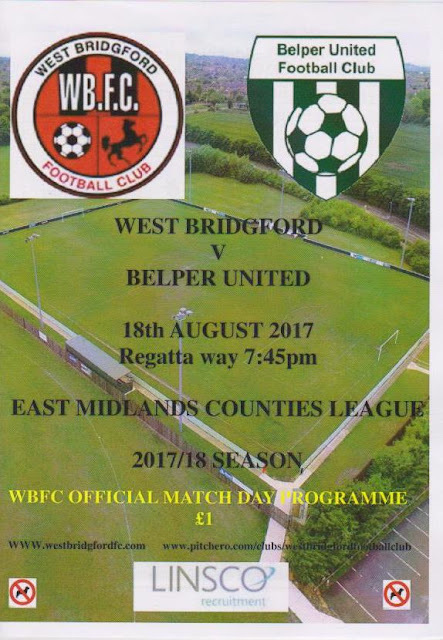 WEST BRIDGFORD is a fairly young club, having been formed as recently as 2010. They've seen a rapid rise since starting out, gaining their third promotion after finishing as Notts Senior League Division 2 (step 9 of the non-league pyramid) runners-up in 2012 and then as runners up of NSL Division 1 a couple of years later. 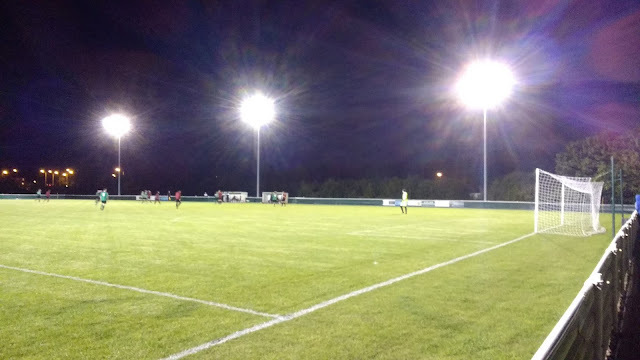 They were an immediate success in the NSL Premier, finishing as runners-up to Wollaton in 2015, but unable to take promotion due to lack of facilities. The following season they had another strong season, finishing 3rd and with the required ground improvements now in place, were able to join the step 6 East Midlands Counties League. 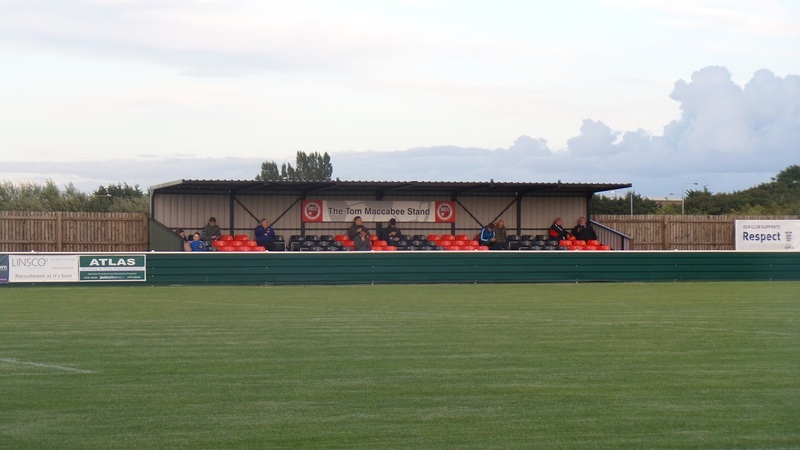 They made their debut season in semi-professional football last season, and it was a memorable one, being crowned EMCL champions, scoring 115 goals in the process and finishing 8 points ahead of their nearest challengers, South Normanton Athletic. However, they chose not to take the promotion to step 5 due to increased costs and so South Normanton went up in their place. West Bridgford played their first game in the FA Vase last season, with them losing an exciting game 4-3 to Leicester Road in a 2nd Qualifying Round game. 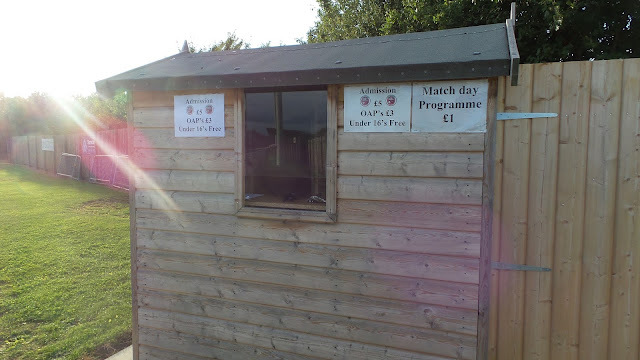 This season, the club played their first ever game in the FA Cup but again they fell at the first hurdle, losing 3-1 to NCEL Premier outfit Clipstone. 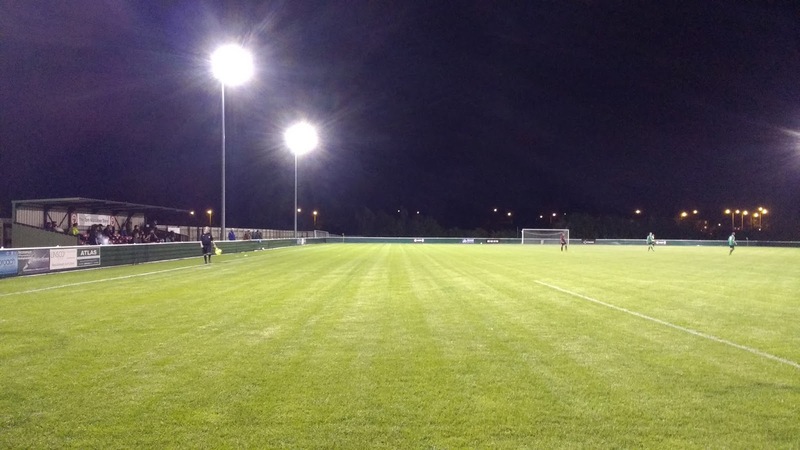 Locally, the club won the Notts Intermediate Cup in 2016 as they beat Bingham Town 2-1 in a final played at Radford. 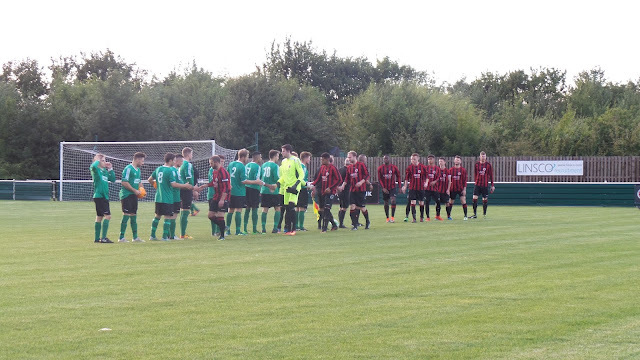 They'd been runners-up in the same cup final back in 2012, losing 5-3 to Southwell St Mary's. West Bridgford itself is home to Nottingham Forest, Notts County and Trent Bridge Cricket ground. 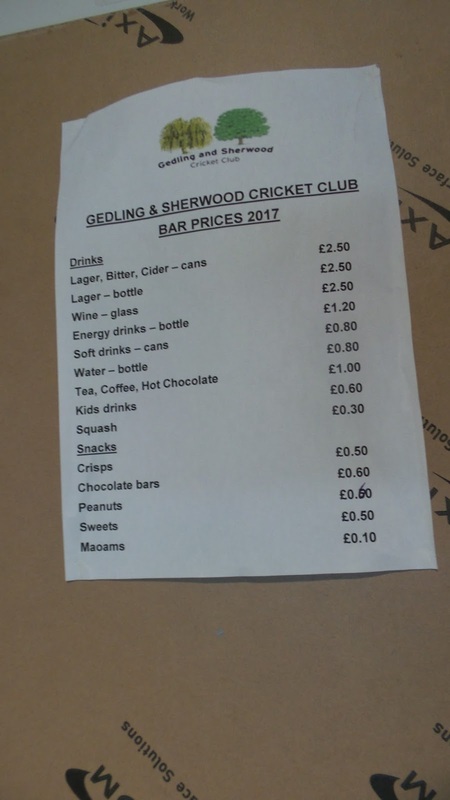 The latter has hosted Stuart Broad, who hails from West Bridgford, along with TV host Leslie Crowther and Tory politician Ken Clarke. 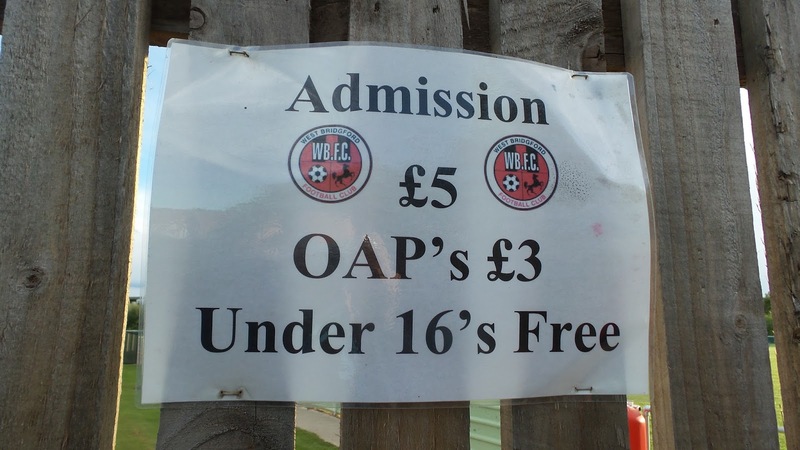 This game was planned during the previous week's visit to Quorn. Though I was keen to cut down on the Wednesday football due to being tired the following morning for work, I was still well up for Friday games. 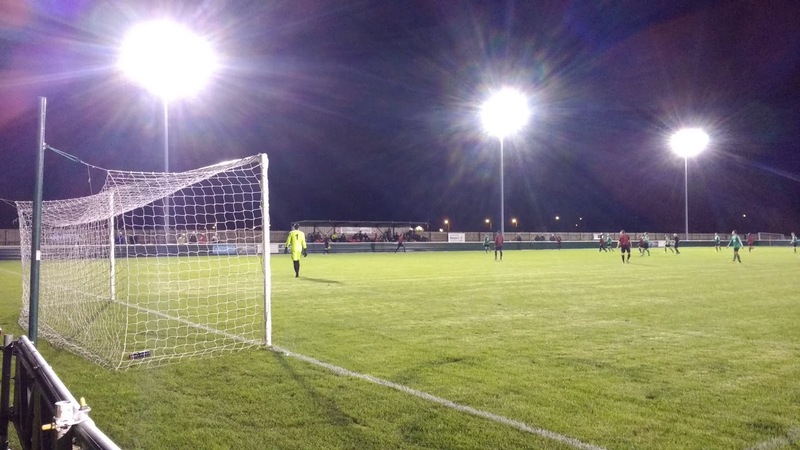 Aberystwyth Town is a ground that both fellow hopper Chris and I had wanted to visit for ages, but with the journey time at just under 4 hours, hopes of making it on a Friday night were fanciful. There was also a game at Newtown, which would see us have an hours allowance for delays, but in the end, we opted for something closer to home. West Bridgford were at home to Belper United and with the journey time under 2 hours, there'd be no need to rush. On the day of the game, it was fairly quiet at work, though I was glad to get away around 11.30. I came home and caught up with a few things that needed doing, before leaving at 3 to meet Chris. We left at 4.05 and made our way up the M1. 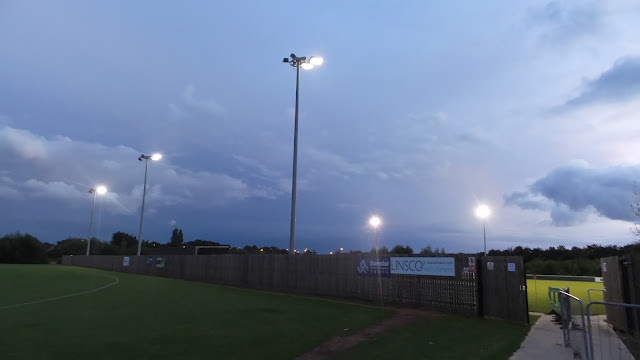 There were delays of course, but the worst were on the A47 so we avoided it altogether, going past Barrow Town and Quorn FC. We got to our pre match meal place of The Big Bamboo Chinese takeaway at 6.10 where I ordered my usual salt and chilli chips with satay chicken skewers. They filled me up before we made our way to the ground. Before we went in though, we called at the excellent Poppy and Pint pub where I had a pint of Torkards Floppy Tabs cider. It was one I'd been meaning to try for a while, what with it being a local one made just up the road in Hucknall. We got back to the ground at 7.30. Prices were good, a fiver for entry and a quid for a programme but it really didn’t feel as if a game was going on. The whole place was soulless and very quiet, although everyone we met was nice and friendly. The visitors were ahead within the first minute when Adam Dring's deep cross found Michael Dunne at the left post who just diverted the ball over the line. The visitors continued to be the better side and they doubled their lead on 26 minutes when Matthew Adcock seized on farcical defending to net from close range. Five minutes later it was three, more questionable defending but also a touch of class from Dunne as he spotted the keeper off of his line and lobbed home from 20 yards. The second half didn't see as many opportunities. The hosts pushed forward in search of a way back into the game but were nearly caught out on the break. 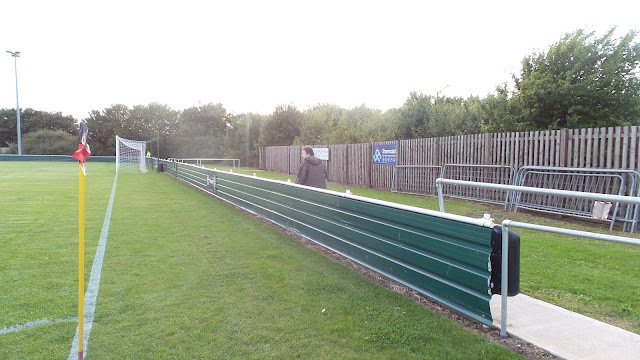 It took a sliding clearance off of the line to prevent a 4th goal just after the hour mark. Deep into injury time, Belper did get their 4th as the hosts were caught napping. Like the third, it was a lob, but a much simpler finish, this time for Chris Dring who had come on to replace his brother Adam who had set up the first goal. The second half had not been nearly as frantic as the first and the hosts, current champions of the EMCL were well beaten. I'm not sure how many of last season's squad remain but on the evidence of this performance, there seems to have been a massive exodus following them not making the step up. 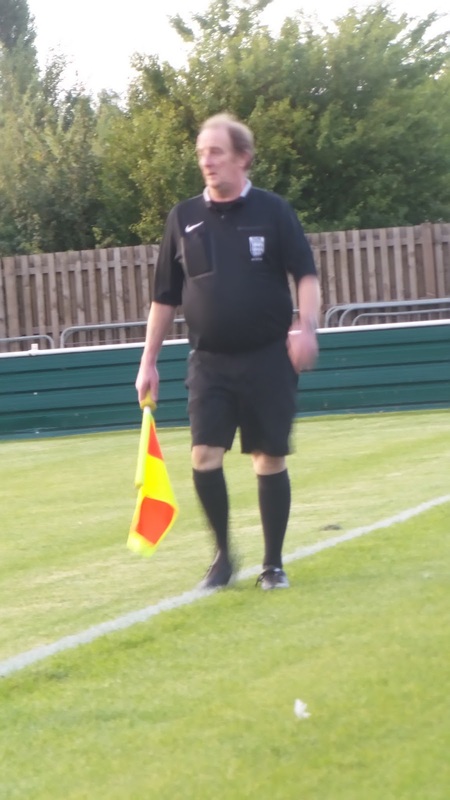 Surprisingly, given their dominance, it was Belper United's first win of the season at the third attempt. The match finished fairly late and Chris and I didn't get away until 9.45. We had a decent journey home, apart from the usual nonsense with the roadworks on the M1. The Two Mikes (or in this case one Mike) podcast kept us company on the way home. I dropped Chris off at 11.10, changing to the NPL podcast and getting home an hour later. I stayed up for a while, updating my blog and watching TV, before going to sleep around 2 am. 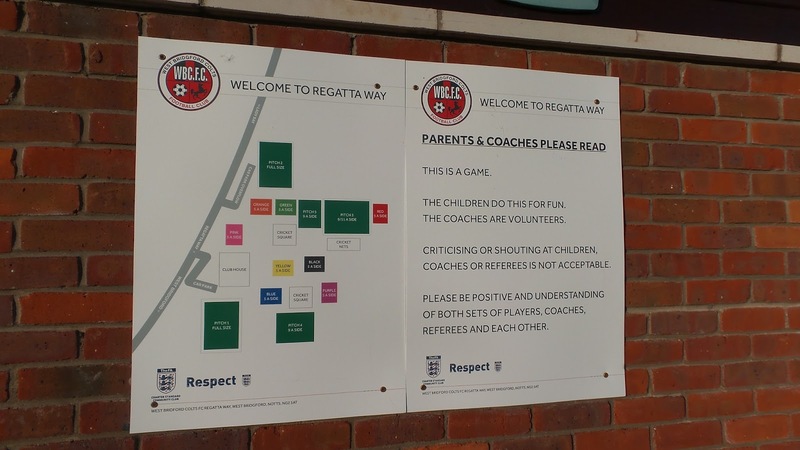 REGATTA WAY SPORTS GROUND is a bland but well-kept venue around a mile from the centre of West Bridgford. It has the typical modern setup of one metal arena stand, capacity around 100 and the rest open standing, although half of the ground is closed off to the public. 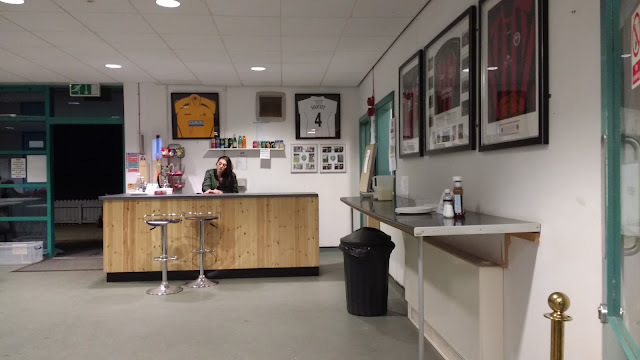 Bar and food facilities are very basic and no dogs are allowed in the ground. It's probably what the FA want, everything to be standardized and as homogenised as possible, but at least you will get a friendly welcome from the club officials who put in a lot of work for their club.